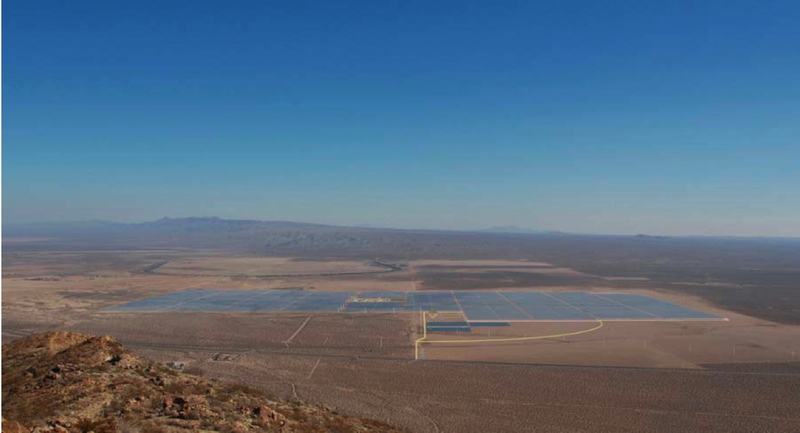 Utility giant FPL has filed plans with California regulators to build a $1 billion, 250-megawatt solar power plant in the Mojave Desert. The move marks the first time that a major player — in this case a Fortune 500 company — has jumped into the nascent Big Solar market. California law requires the state’s investor-owned utilities — PG&E (PCG), Southern California Edison (EIX) and San Diego Gas & Electric (SRE) — to obtain 20 percent of their electricity from renewable sources by 2010 and 33 percent by 2020. But public utilities like LADWP only have to set green energy targets, 13 percent by 2010 and 20 percent by 2017 in Los Angeles’ case. Under California’s global warming law, the state’s greenhouse gas emissions must be reduced to 1990 levels by 2020. Those renewable energy mandates have been driving the market for large-scale solar power plants, but so far California’s Big Three utilities have placed their bets on startups like Ausra, BrightSource Energy and Stirling Energy Systems. FPL Energy, however, is no stranger to the California solar market. It currently operates seven of nine “solar trough” power plants that were built by Israeli solar pioneer Luz International in the 1980s and early ’90s in the Mojave at Kramer Junction and Harper Dry Lake. The plants use long rows of parabolic mirrors to focus the sun’s rays on tubes of synthetic oil suspended above the arrays. The hot oil is used to create steam which drives electricity-generating turbines. The company’s new power plant (artist rendering above) will built on 2,012 acres of former farmland near California City and will also use solar trough technology. FPL tends to be tight-lipped about its plans but in a recent interview with Green Wombat, FPL Energy senior vice president Michael O’Sullivan acknowledged the company is bidding on contracts with utilities throughout the Southwest. “We do not develop through the issuance of press releases,” he says, “and there’s a lot of thinly capitalized solar developers trying to get attention by running around the Southwest announcing projects.” Unlike competitors developing new solar technology, FPL is sticking with the tried and true. “One reason we’re focused on solar trough technology like we have out at Kramer is that it’s a proven, financeable technology,” O’Sullivan says. In a letter accompanying the Beacon Solar application to the California Energy Commission, O’Sullivan estimated the project would create 1,000 jobs during the two-year construction phase and 66 permanent positions once it goes online in 2011.